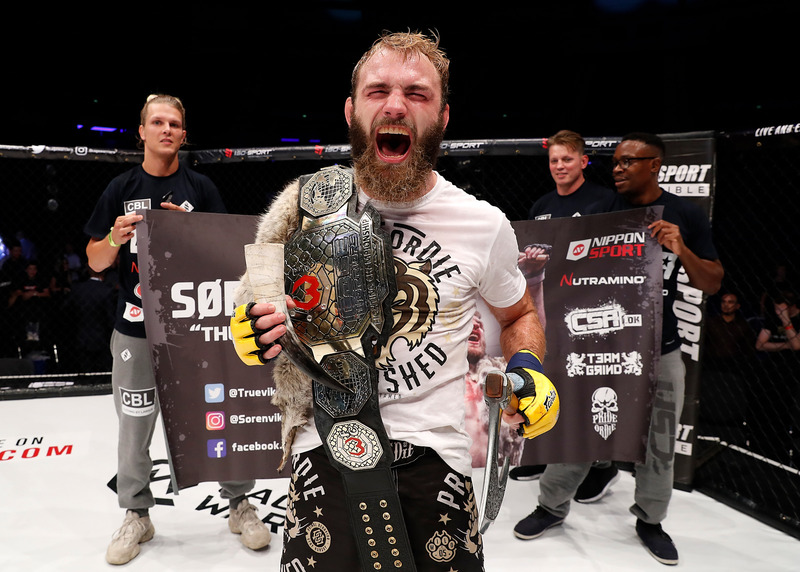 Denmark’s Soren Bak captured the vacant Cage Warriors lightweight title after a gripping five-round battle with Liverpool fan favourite and former featherweight champion Paddy Pimblett at Cage Warriors 96 in Liverpool. Pimblett dominated the opening round and looked to have Bak in serious trouble when he locked up a rear-naked choke. But Bak showed remarkable composure to survive the choke and make it to the end of the round. And after escaping Pimblett’s submission threat in the opening round, Bak set about clawing back the momentum in the remaining rounds, as he outstruck the Liverpudlian and dominated the former featherweight champion on the mat to earn a unanimous decision, with scores of 48-44, 48-45 and 48-46 on the judges’ scorecards. After his victory, ‘The True Viking’ Bak celebrated by drinking from a Viking horn and brandishing his axe. But now he’ll be carrying around an additional piece of hardware: the Cage Warriors lightweight championship belt. 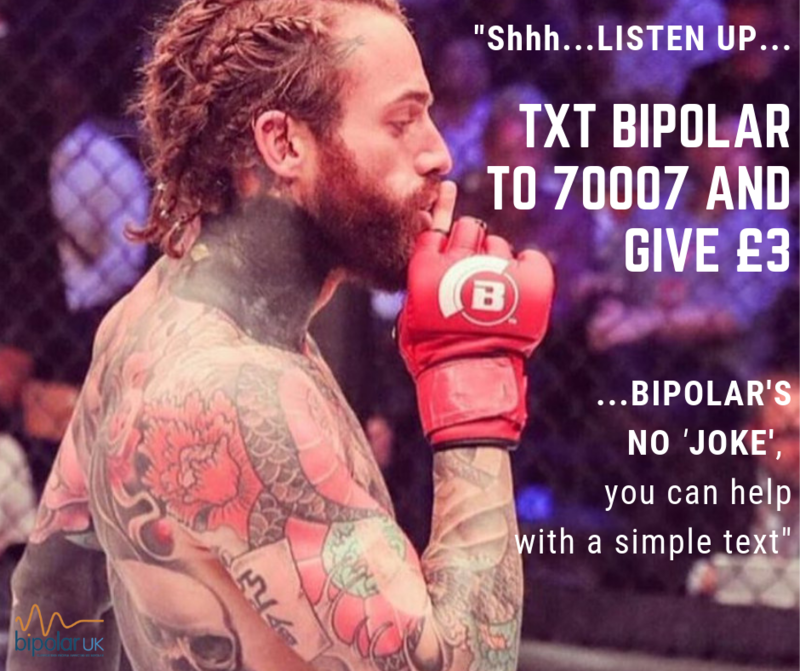 German contender Jonas Billstein saw off the challenge of late-notice challenger Mick Stanton to claim the vacant Cage Warriors middleweight title via first-round submission. Stanton looked to be the better man in the stand-up early on, but Billstein – who was due to challenge Lee Chadwick for the title only for ‘The Butcher’ to lose his title on the scale at Friday’s weigh-ins – took the fight to the mat and took control. Billstein took Stanton’s back, locked up a body triangle and, after a period of stubborn resistance from Stanton, secured the fight-winning rear-naked choke that forced the Huyton Hammer to tap out as the German captured the Cage Warriors middleweight title. Grimsby lightweight Jack Grant produced a finish to remember as he staked his claim for a shot at the Cage Warriors lightweight title. Grant used his range to dominate proceedings against Finland’s Aleksi Mantykivi, and as the opening round entered the final 90 seconds, he launched into overdrive, landing five successive right elbows to the Finn’s head before punctuating his salvo with a perfectly-placed left hook to put the seal on a stunning knockout win. Former Cage Warriors welterweight champion Nicolas Dalby delivered a stunning second-round performance to finish previosuly undefeated Italian Roberto Allegretti by technical submission in their main card bout. Dalby exhibited patience in the opening round, then exploded in the second, dropping Allegretti with a huge head kick, then locking up a rear-naked choke for the win as the Dane signalled his intent to contend for the welterweight title once again. In the opening bout of the night, a dramatic late point deduction saw Tim Barnett miss out on a win on his Cage Warriors debut. Barnett looked to be on course for victory in his welterweight bout against Matt Bonner, but a point deduction with 20 seconds to go for repeated fence grabs meant what would have been a unanimous decision win for Barnett became a majority draw, with the final scorecards reading 28-27 (Barnett), 28-28, 28-28. Join Cage Warriors in Cardiff’s Ice Arena for their next event on September 29th, when local hero Jack Shore will face Jakub Wiclakz, Eastern Europe’s top bantamweight prospect, for the vacant title.